About | Robert Pollien, Artist: Maine, Wyoming, Landscape, Crows. Artist Robert Pollien earned his MFA from the University of Pennsylvania and attended the Skowhegan School of Painting and Sculpture. 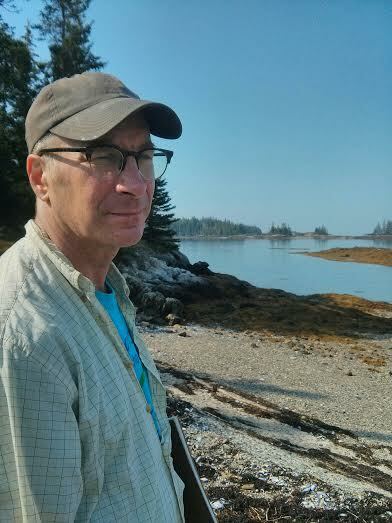 Robert has been named 2019 Acadia National Park Resident Artist. Mr. Pollien has received support from the Ludwig Vogelstein Foundation, the Monhegan Artists’ Residency Corporation, the Joseph A. Fiore Art Center at Rolling Acres Farm and the Brush Creek Foundation for the Arts. He has also been awarded the Maine Arts Commission Individual Artist Fellowship for painting. Pollien’s paintings are in numerous corporate, public, and private collections. He is represented by Dowling Walsh Gallery in Rockland, the Littlefield Gallery in Winter Harbor, Maine and Artemis Gallery in Northeast Harbor, Maine.